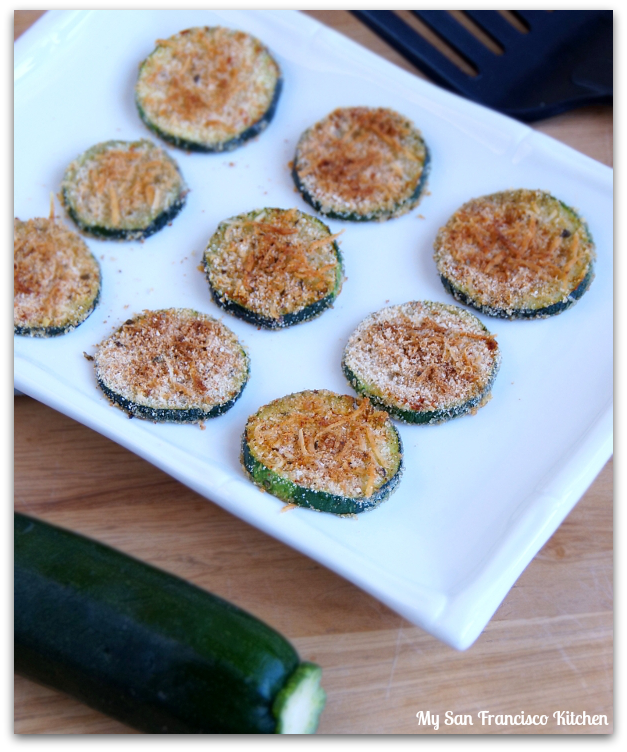 These baked organic Parmesan zucchini crisps are crispy on the outside, and soft on the inside. 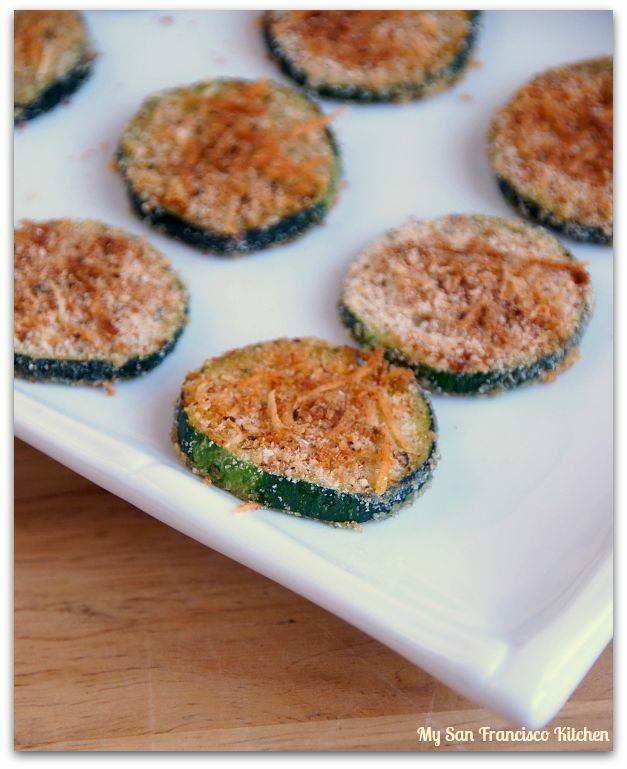 I was browsing the Food Network website after I got home from work tonight and saw this baked zucchini crisp recipe from Ellie Krieger. I was so excited that I had all of the ingredients ready to go! They tasted just as delicious as they looked in the picture, so I had to share the recipe with you. You can make them lower in calories by only dipping one side in the bread crumb mixture. Although zucchini is technically a summer squash, we can buy them year round at the grocery store. I cannot believe Fall is here already! The first time I realized summer was coming to an end was during all of the back-to-school sales and commercials, but lately I have been seeing Halloween stuff already set up in the stores! And the PSL (pumpkin spice latte) already back at Starbucks a few weeks ago?! Time is just going by way too fast for me these days. I am halfway through my pharmacy operations rotation, and bracing myself for what everyone says is the hardest rotation next – general medicine. I have been trying to get myself to study old material for the past few weeks, but every night I haven’t felt like studying. One of these nights I need to just grab a coffee and do it! Lately I have been feeling a little burnt out and needing a break from pharmacy school, but I keep reminding myself that it will be over in 6 months and I can finally be done with school and move on with my life. One of the hardest things is not knowing what lies ahead, but it is also exciting to not know what the future holds for me. 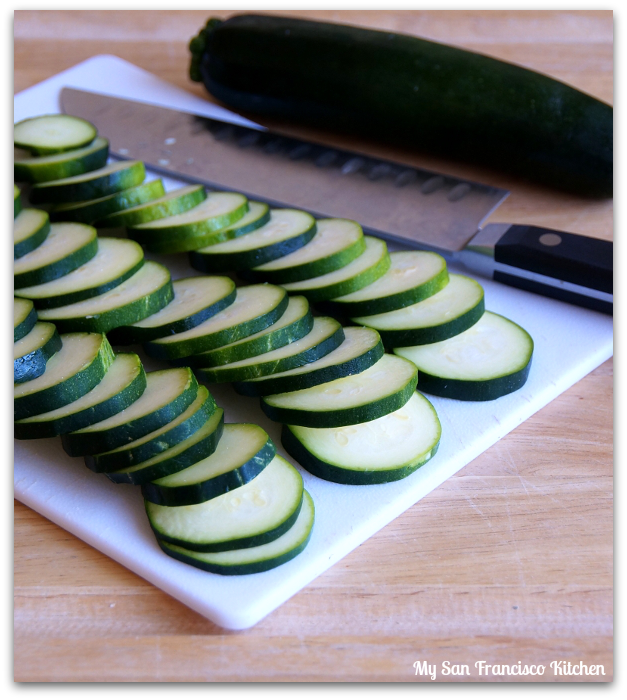 Slice zucchini into ¼ inch thick slices and add to a mixing bowl. Drizzle olive oil over the zucchini and toss well. Add bread crumbs and cheese to a separate plate and mix together. 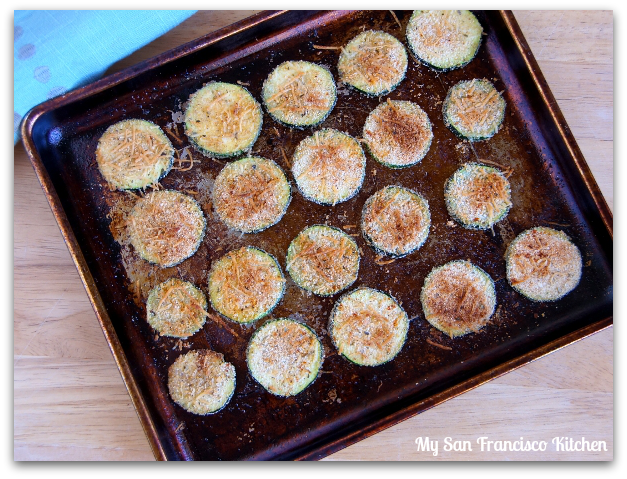 Press each zucchini slice into the bread crumb mixture on each side, and place on a greased baking sheet. 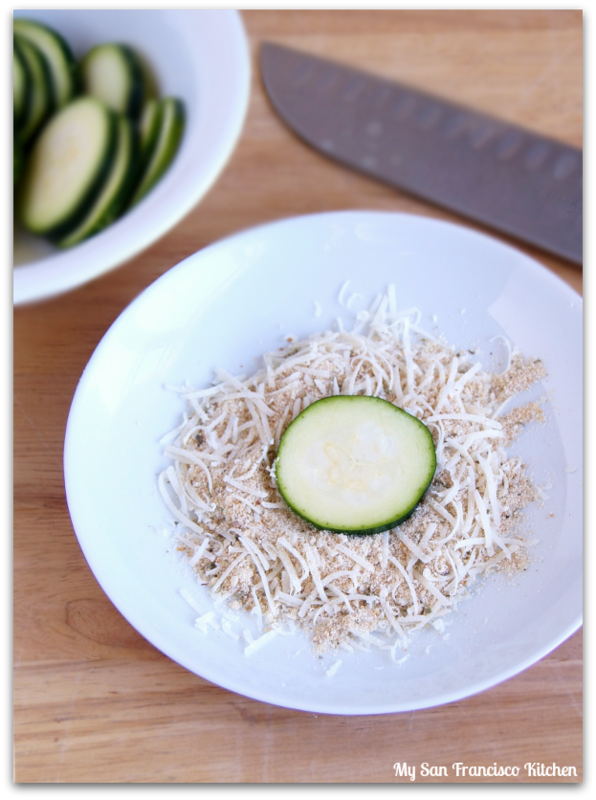 Grate extra Parmesan cheese over the top, and sprinkle a little cayenne pepper (careful not to make them too spicy!). This entry was posted in Organic, Sides, Snack, Vegetarian and tagged bread crumbs, parmesan cheese, zucchini. A simple yet satisfying snack. good luck. These look great, I must try with the Trader Joe’s Vegan Mozzarella shreds since they’re a lot like parm. Thanks and good luck! Ooooh I haven’t tried those yet! Just checking…the cook time on these is 20-25 minutes. The regular recipe calls for 1 and 1/2 hours. Why the big difference? I can’t wait to try these! I found that I didn’t need to cook them as long as the original recipe – you can see what works for you, just check them every 15 minutes or so!